The Cabernet Sauvignon has great varietal expression from one of the best vintages in California's modern history. The Merlot offers the blend some sweet dark fruit and soft tannins while the Petit Verdot adds richness and depth. 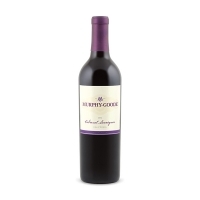 Look forward to aromas and flavors of black cherry with just a hint of black licorice. The finish will add notes of chocolate, vanilla, and just a touch of toast. Almost a must for dinner on the beach.